With all there is to see and do in Wichita Falls, it may be tempting to make a visit here an annual tradition. The arts scene is spectacular, and there are numerous parks, golf courses, nature centers, and picturesque vistas for outdoorsy types. If you’re looking for a place to take the kids that will be exciting enough to make them put down their cellphones, you’ve found it. The following are just a few of the best things to do in Wichita Falls. You could build an entire trip around nothing else but taking in the amazing Wichita Falls arts scene. The storied Backdoor Theatre and the Wichita Theatre Performing Arts Center keep the city supplied with a range of musicals, plays, and children’s shows year-round. Meanwhile, the Wichita Falls Ballet Theatre also produces several shows each year that star its expertly trained young dancers, including the annual favorite, The Nutcracker. For some music, it’s hard to beat the classics performed by the Wichita Falls Symphony Orchestra, which conducts five shows each year featuring well-known guest musicians and conductors. For art viewing, the Wichita Falls Museum of Art at MSU is a lovely setting to admire more than 3,000 paintings, sculptures, and photographs originating from North Texas and Southern Oklahoma. In addition, the Kemp Center for the Arts displays works of local and regional visual artists in five galleries. It’s also the place to catch special arts events like the Western art-themed Cowboy True and the Arts Alive! Home and Garden Festival. With nearly 40 city parks, you’ll have ample opportunity for hiking and biking, picnicking, and generally enjoying the outdoors in Wichita Falls. One of the most popular is the 178-acre Lucy Park, which contains the River Bend Nature Center, where you’ll be lost in a world of nature discovery, exploring trails and wetlands and spotting wildlife. The park is also the place to leave the car for a one-mile jog to The Falls, the picturesque, 54-foot Wichita Falls waterfall on the south bank of the Wichita River. For a park of a different variety, check out the City of Wichita Falls Skate Park. Open seven days a week from dawn to dusk, the skate park sports stairs, rails, boxes and ledges, bowls, and other transitions for boarders or bikers to cut loose on. When the concrete starts to get hot in the midday sun, make for Castaway Cove, the Wichita Falls water park. Here you’ll find the cooling waters of the lazy river, thrilling rides, and the refreshing shade of the cabanas that is well worth the price of admission. 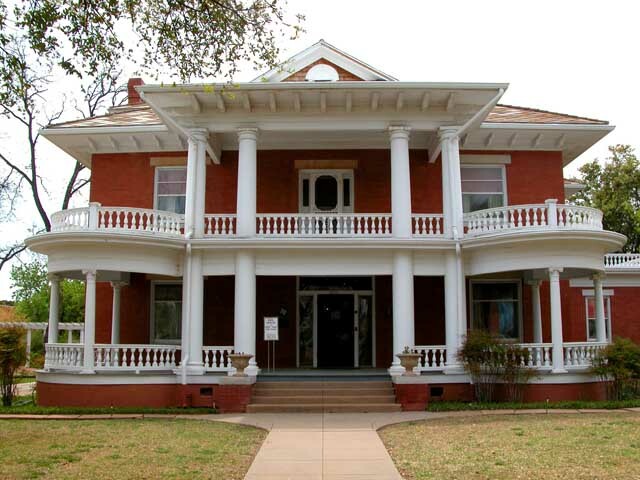 The Museum of Art is just one of many great museums and historic sites that call Wichita Falls home. Discover the people and industries, from Native Americans to oil and gas pioneers, that helped build North Texas at the Museum of North Texas History. What was once the home of town father Frank Kell is now the Kell House Museum, featuring original family furnishings, decorations, and historic costumes that belonged to his family at the turn of the 20th century. Wichita Falls is even home to the Professional Wrestling Hall of Fame and Museum, and true fans of the sport won’t want to miss the induction ceremonies and vintage memorabilia held here. These are just a few places where history is celebrated; for more information on other historic sites in the city of Wichita Falls, visit wichitafalls.org. With its leisurely pace and lush outdoor environments, golf is an essential thing to do during just about any vacation. 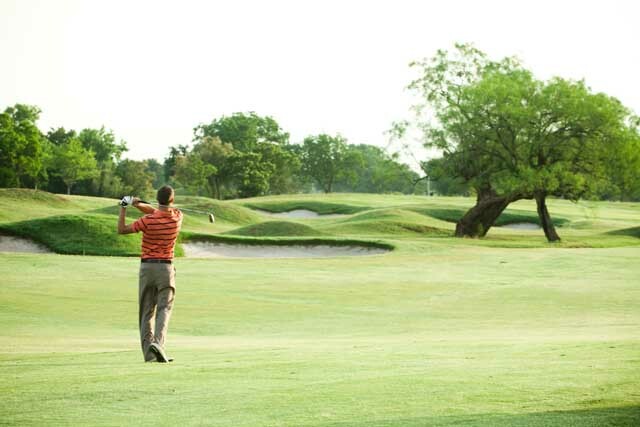 Wichita Falls offers two excellent courses that are open to the public that also host one of the most popular youth golf tournaments in the country. Some of the best greens in North Texas can be found at the Champions Course at Weeks Park, as well as some money-saving deal days on rounds like the Tuesday Special and Sundays’ Parent-Child Day. River Creek Park Golf Course is a highly-rated municipal course with multiple tee boxes on each hole to accommodate all skill levels, as well as full-featured practice facilities, a pro shop, and a snack bar and grill. Together with the Wichita Falls Country Club, the courses welcome some of the best young players in all of North America for the annual Texas-Oklahoma Junior Golf Tournament.